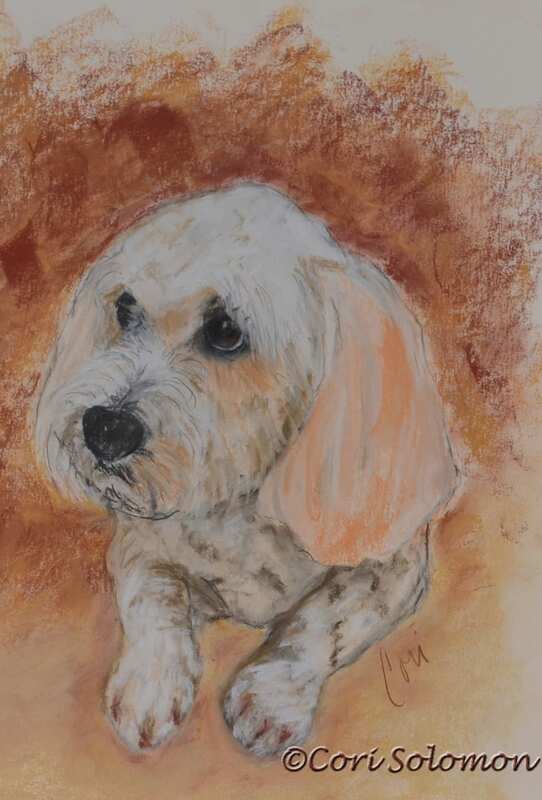 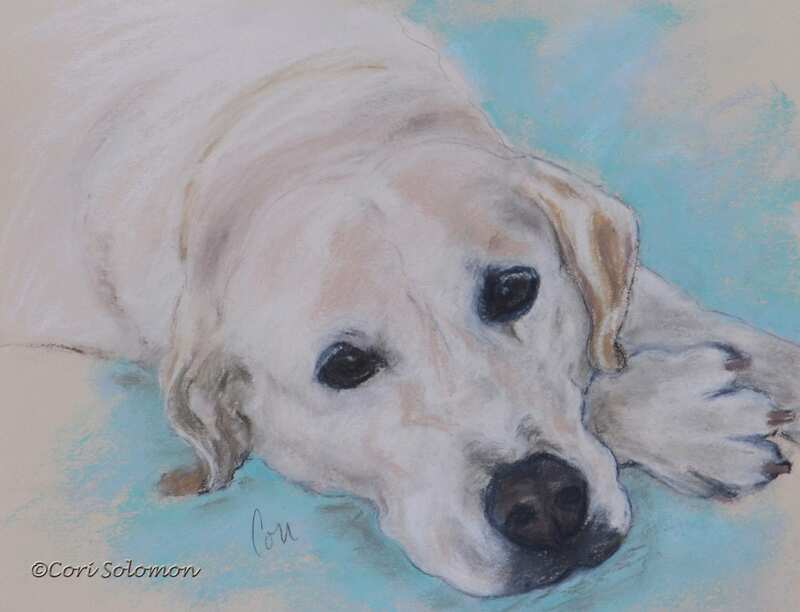 This pastel drawing of a yellow Labrador Retriever named Biscuit was commissioned dog portrait. 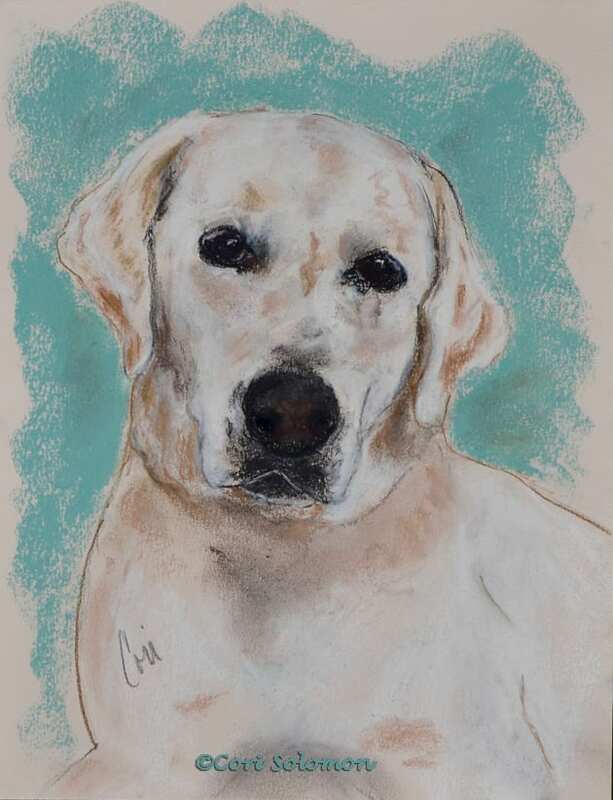 Biscuit roommate is also a yellow Labrador. 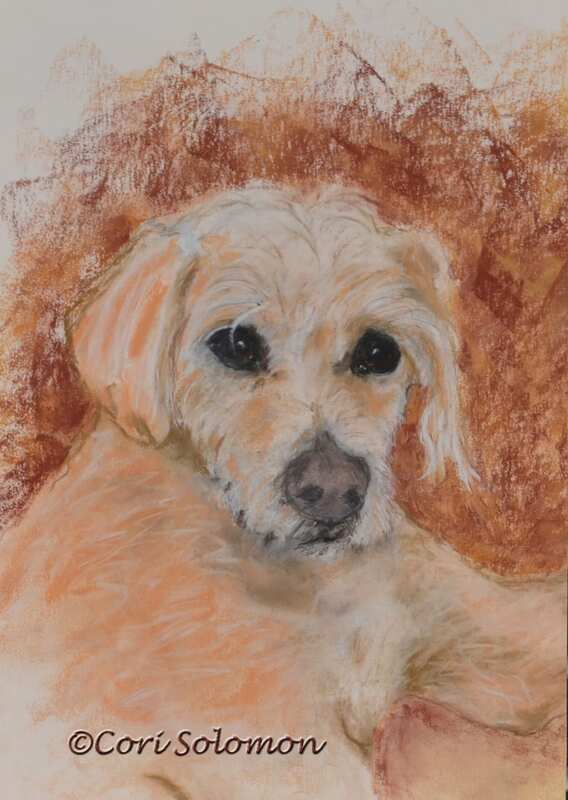 Check out Miley dog portrait. 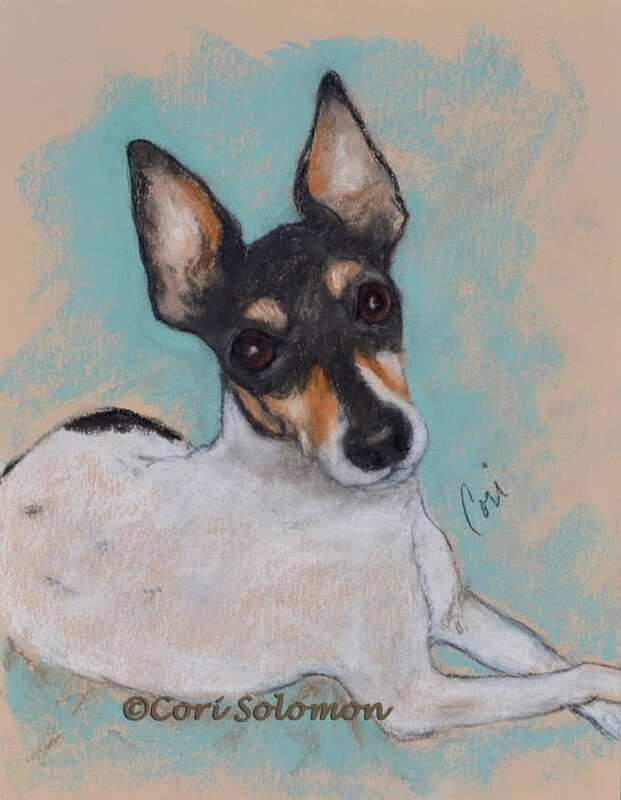 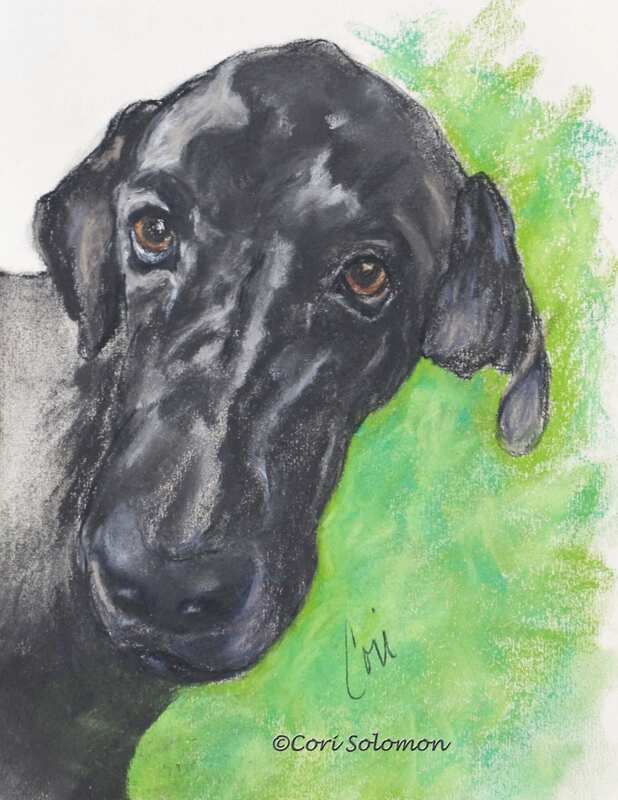 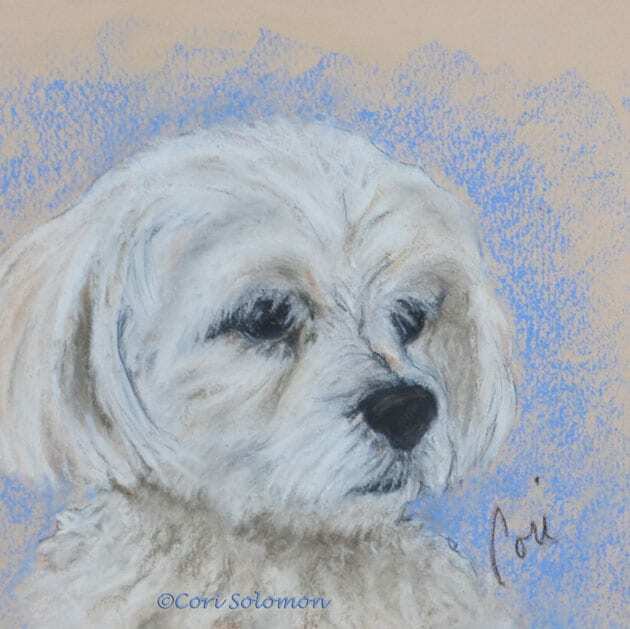 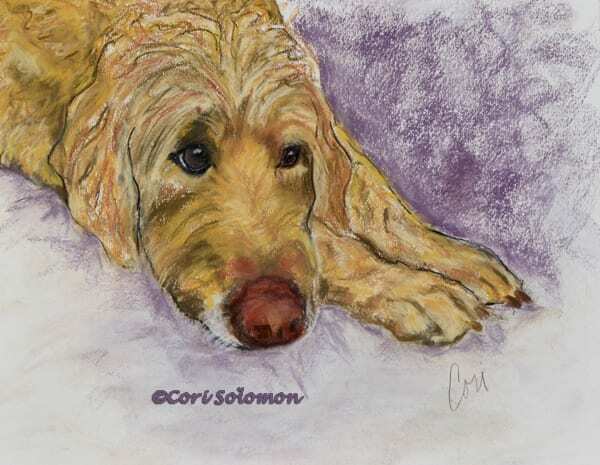 For more information on dog portraits email Cori. 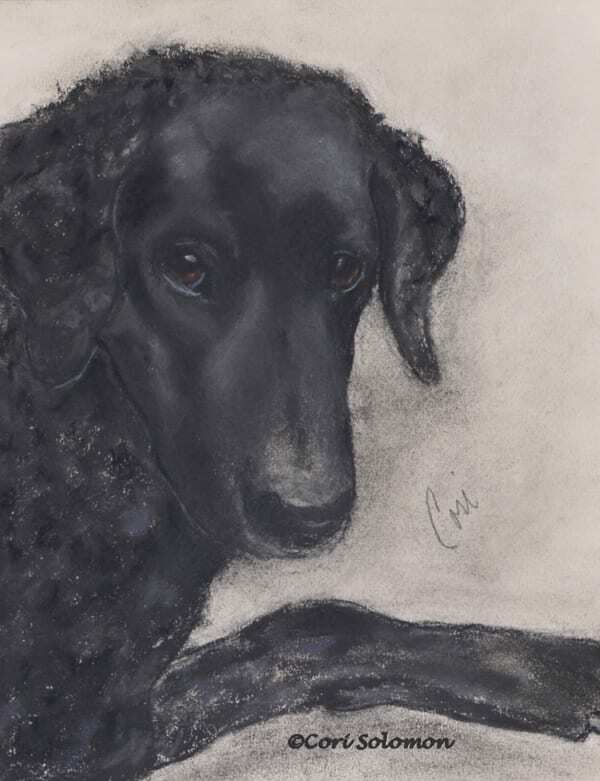 Ozzy is a Curly Coated Retriever that I was commissioned to do a dog portrait of this year. 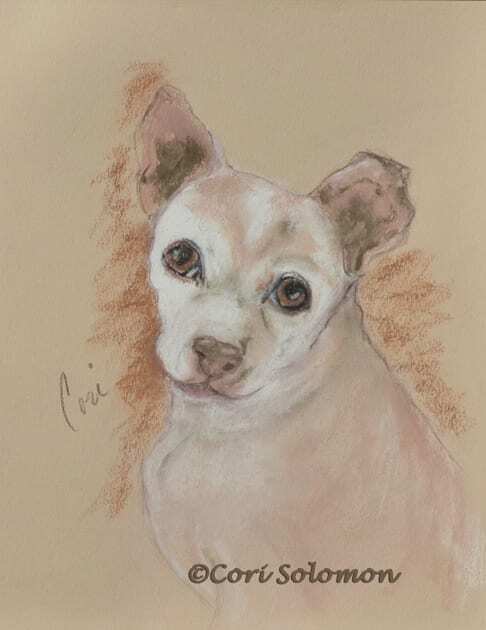 This was my first attempt at this breed. 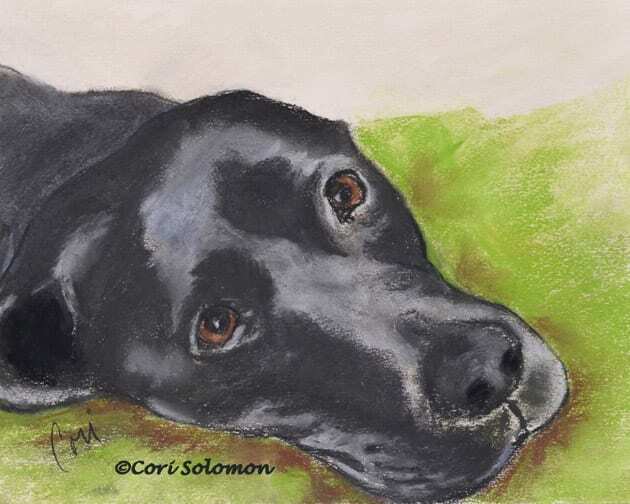 Dark colored dogs are often more difficult to draw because getting the right expression is more of a challenge. 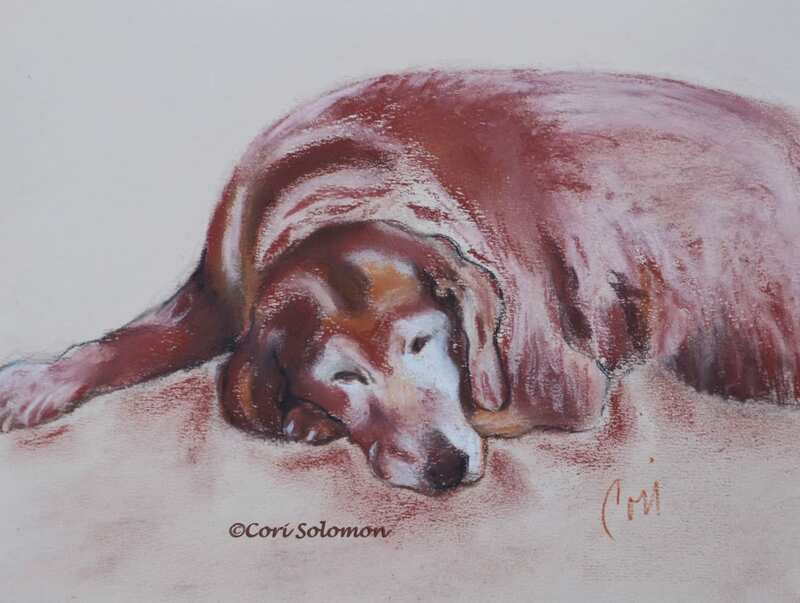 The artist must typically has to exaggerate the highlights to bring out the dogs spirit. 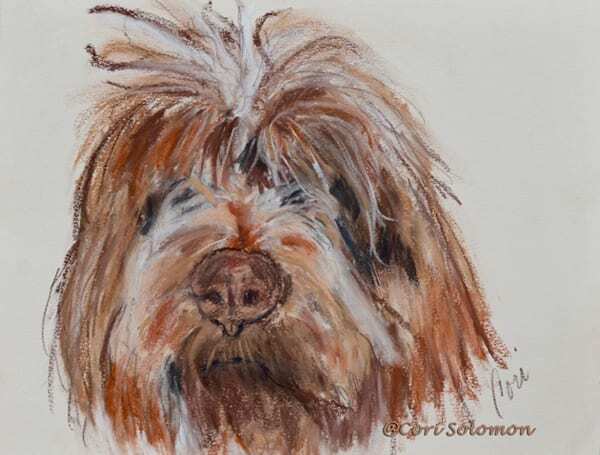 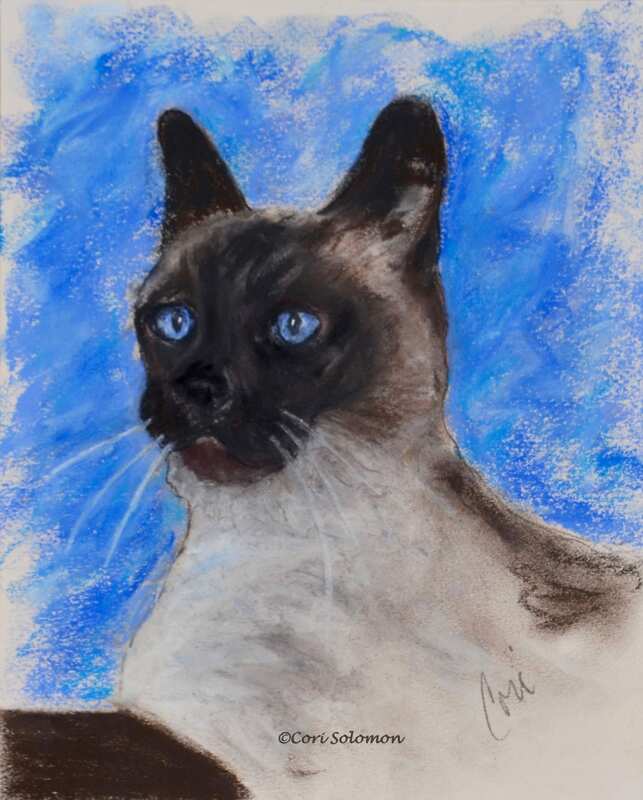 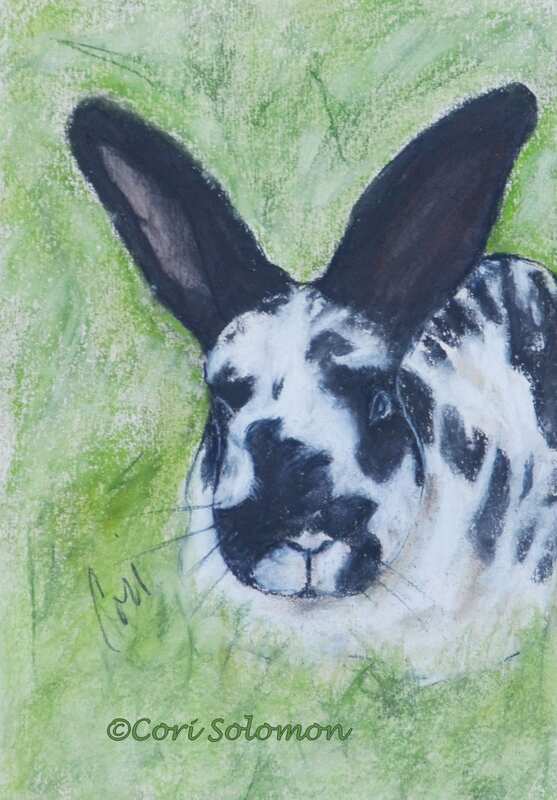 In this case I was able to bring out Ozzy’s gentle nature with more subtle highlights.